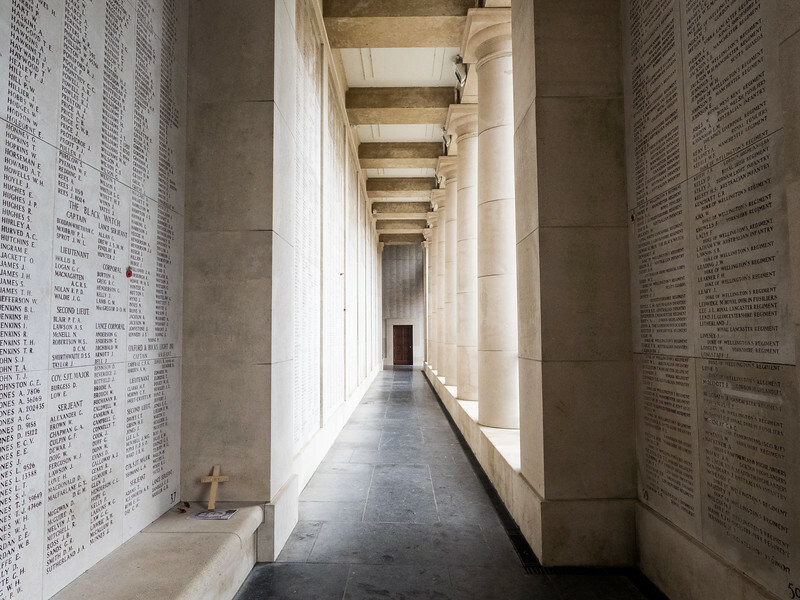 Pictures from my trip to Ghent, Bruges and Ypres in Belgium. 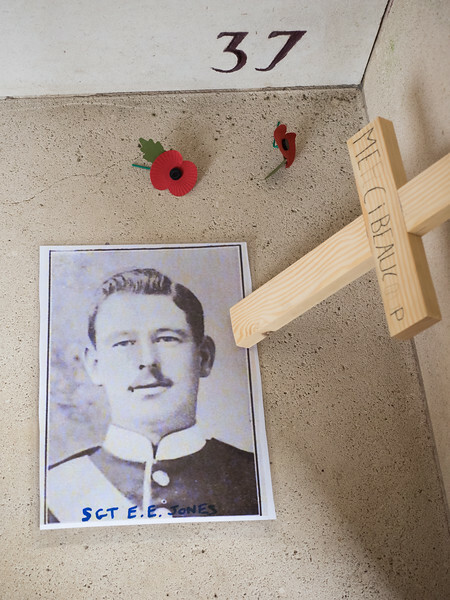 As my brother Declan said, seeing an actual picture of one of the soldiers made it feel very real. So many names - over 50,000 in fact. What a complete waste. 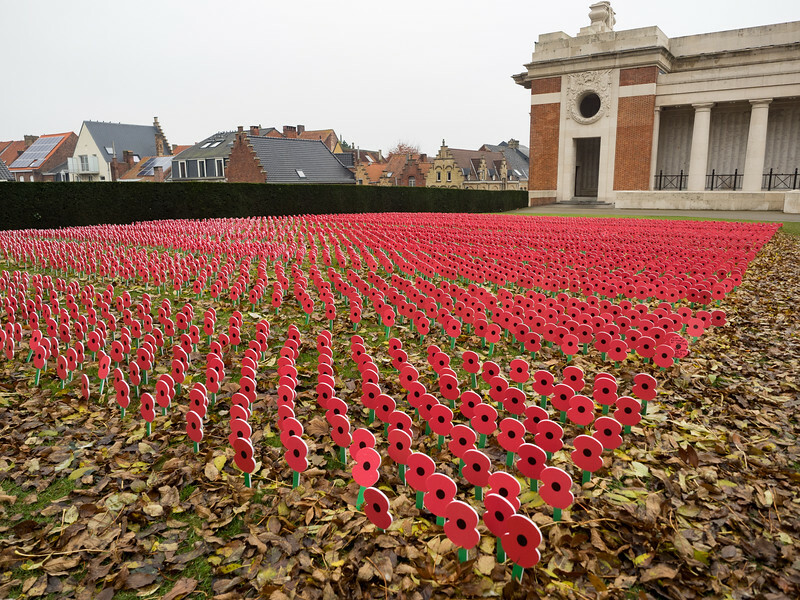 “They Shall Not Grow Old”. The drops of rain reminded me of tears. 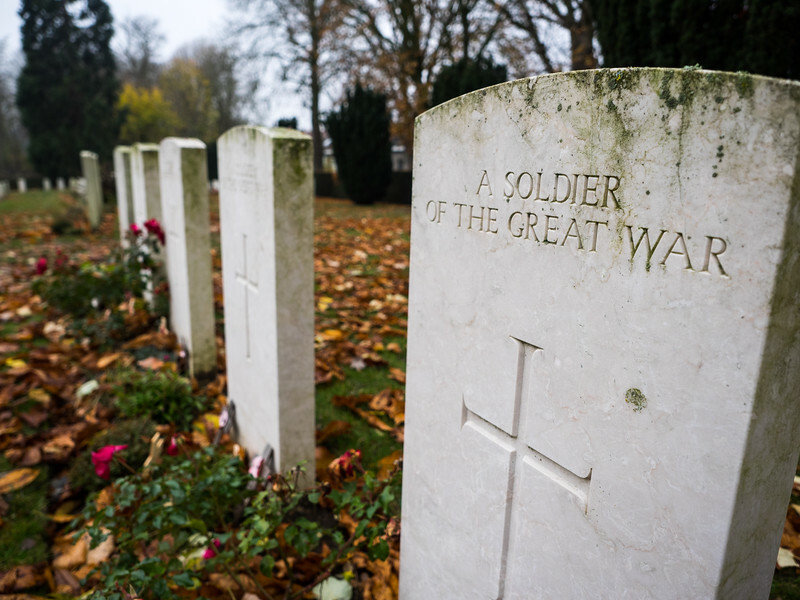 A war cemetery near the Menin Gate. This cemetery had a section where Maori soldiers were buried. 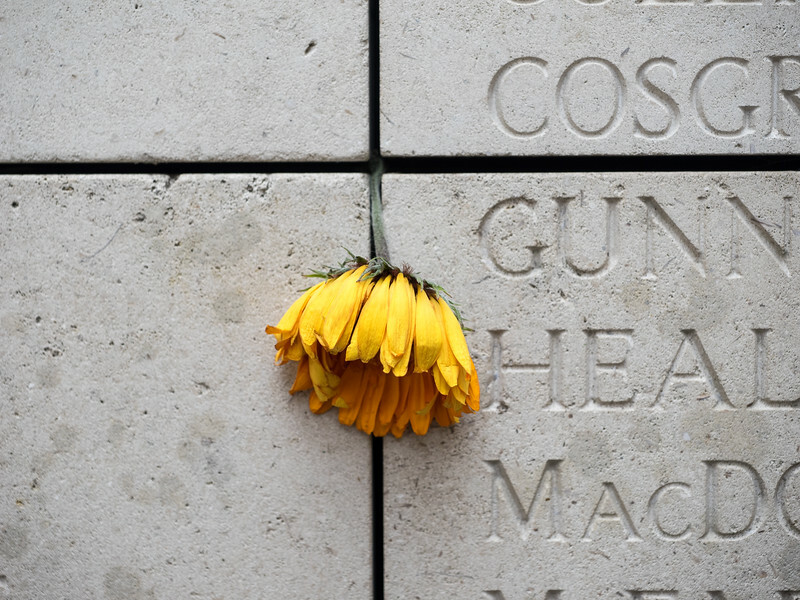 It was striking how the dead had come from all four corners of the planet, to die in this one place. 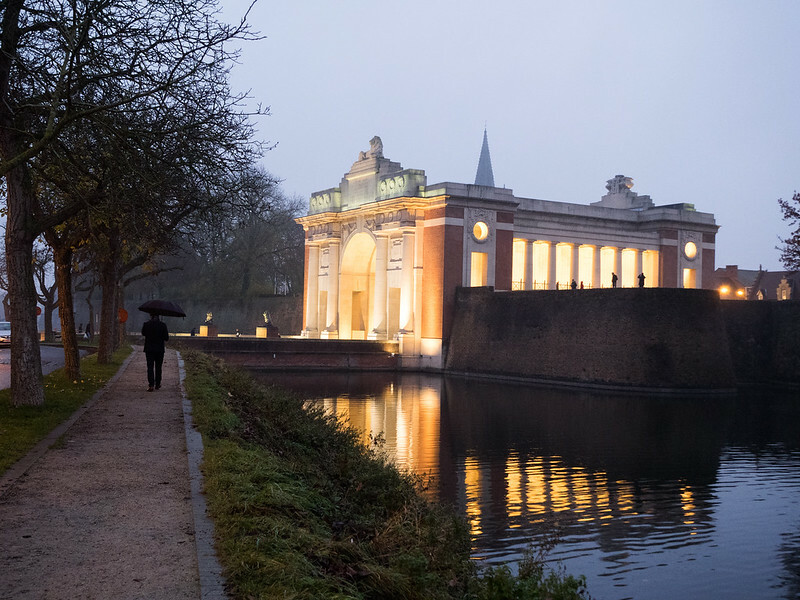 The Menin Gate at dusk. 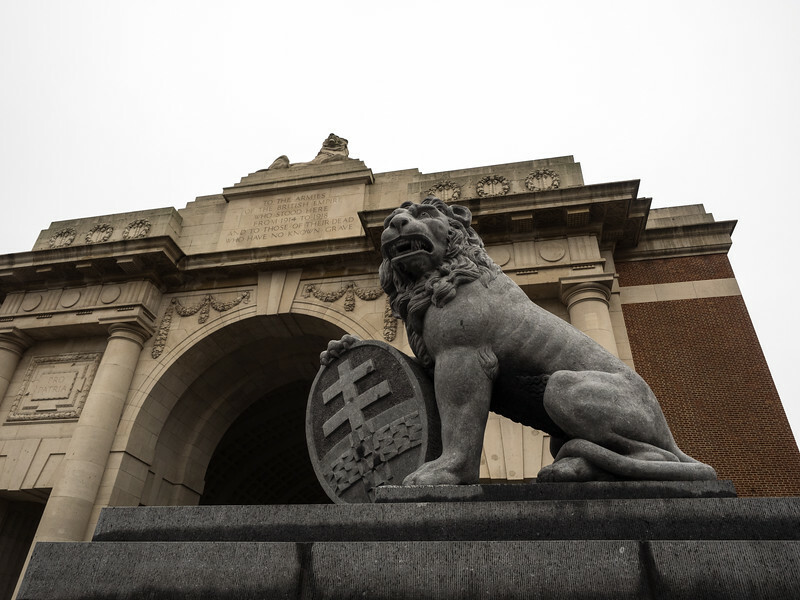 The Last Post was at 8pm so I retired to a little bar right beside the Menin Gate and read through a book of World War One poetry that I'd just bought in the war museum here. 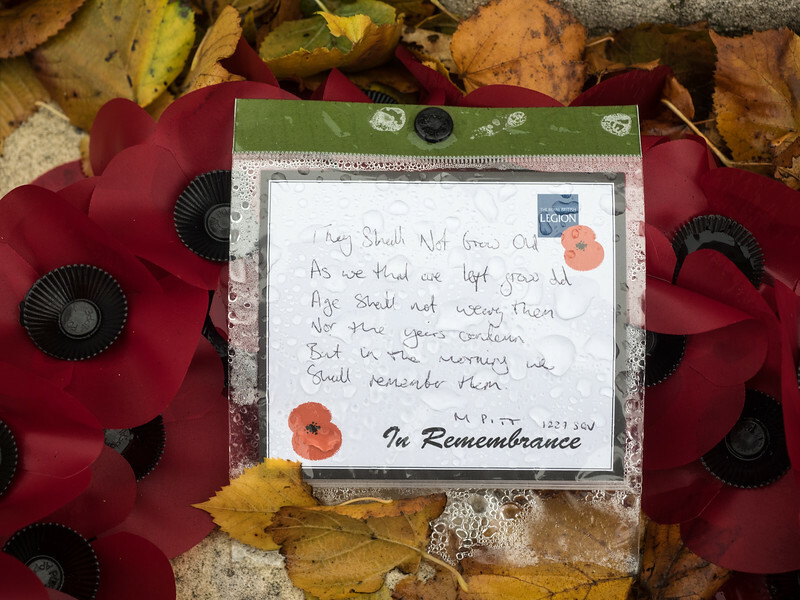 Reading the words of the soldiers ("We are the Dead...") here made it all the more poignant. 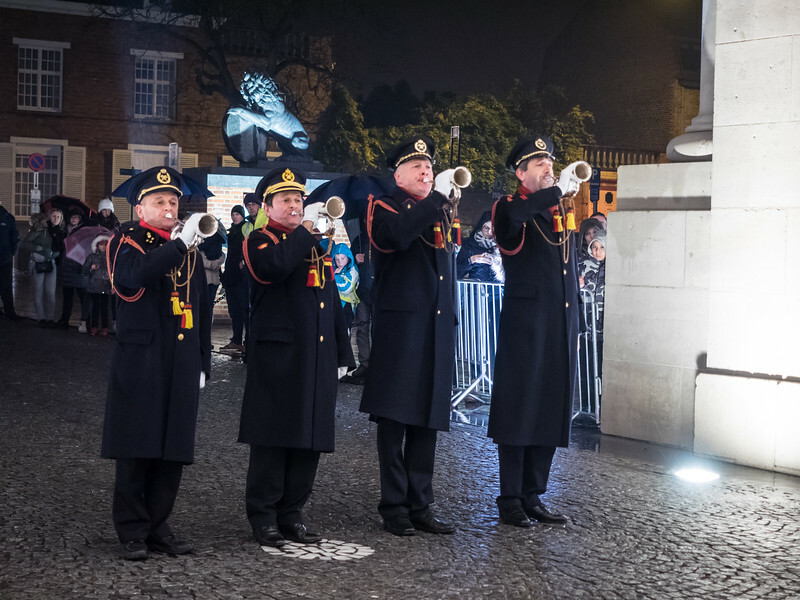 The Last Post at the Menin Gate, a very moving event. The town has been doing this every evening since the 1920s, apart from the German occupation during the Second World War. There was a substantial crowd for the ceremony, approaching a thousand people, I would guess. 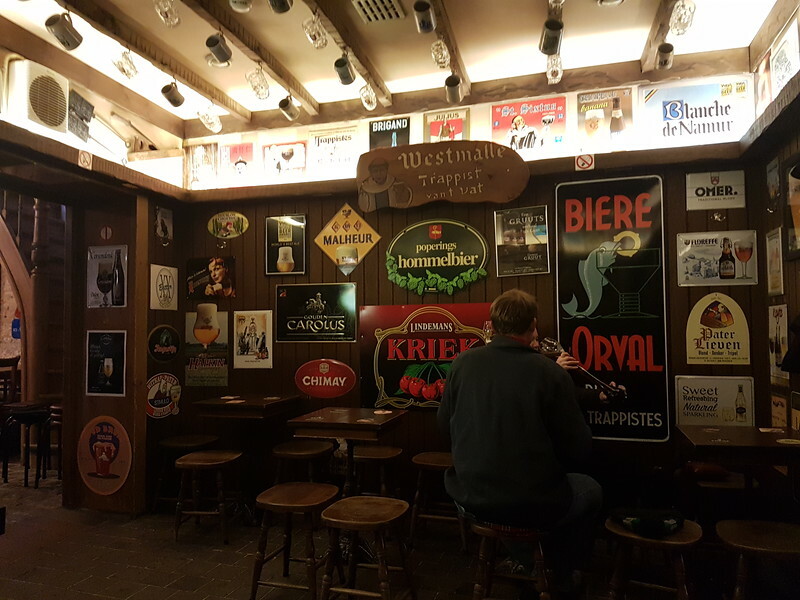 Back in Ghent - this pub, Dulle Griet (named after a nearby 15th Century canon), apparently serves 500 types of beer. One type comes in a special glass - you have to give one of your shoes to order it, and don't get it back until the glass is returned. Just don't try and order drinks at the bar - not the done thing here, apparently (I got totally ignored and, judging from reviews on TripAdvisor, it's not an uncommon experience). On Sunday morning I was awoken from my peaceful slumbers by the mysterious sound of many birds squawking somewhere nearby. I had no idea where it was coming from until I looked out the window and could see that there was a bird market in the square across the road (it’s only there on Sundays). 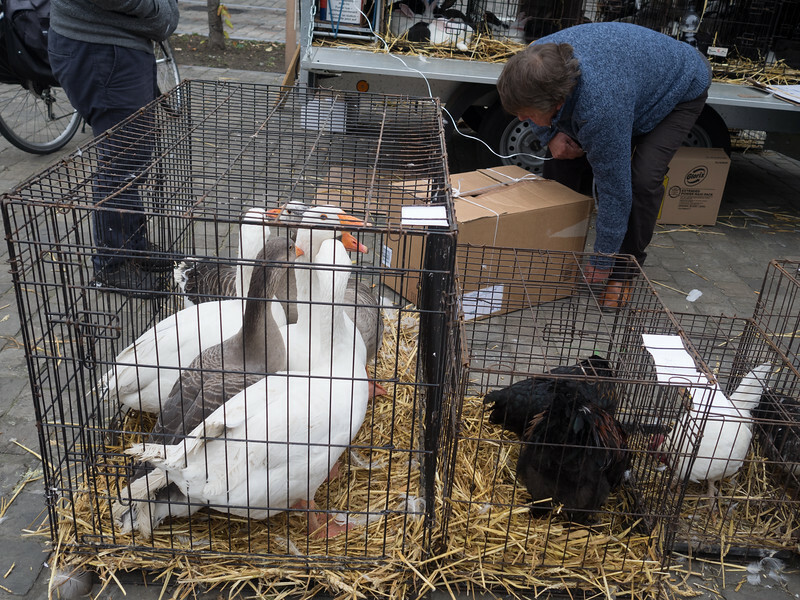 The geese in the cage made me think of a painting by Bruegel; the man in the picture has just put one in the cardboard box for a buyer. 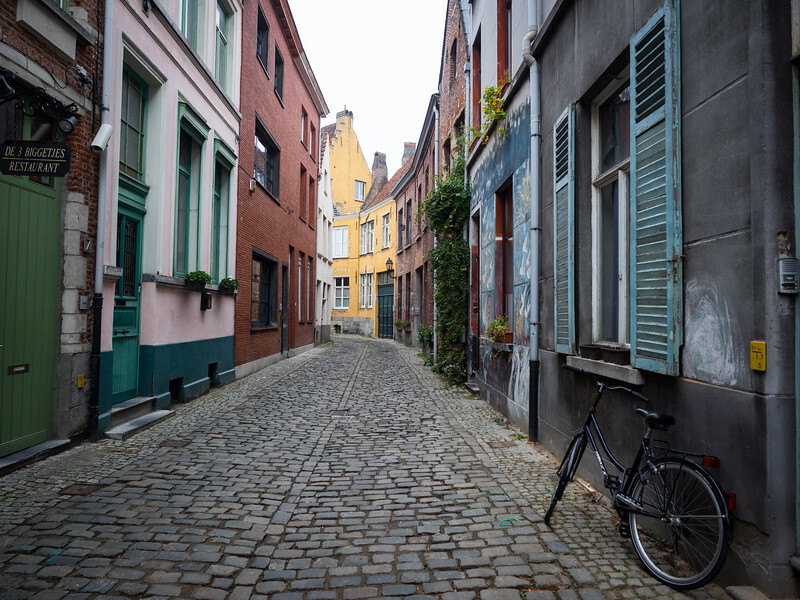 In the Patershoi area of Ghent - this used to be a bit of a slum area but has now been revitalised. It was a great place to wander around. And of course there’s a bicycle propped up in just the right place. 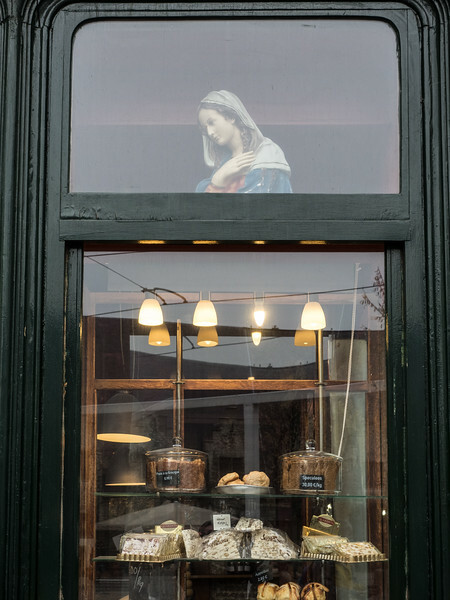 Keeping an eye on the baked goods. 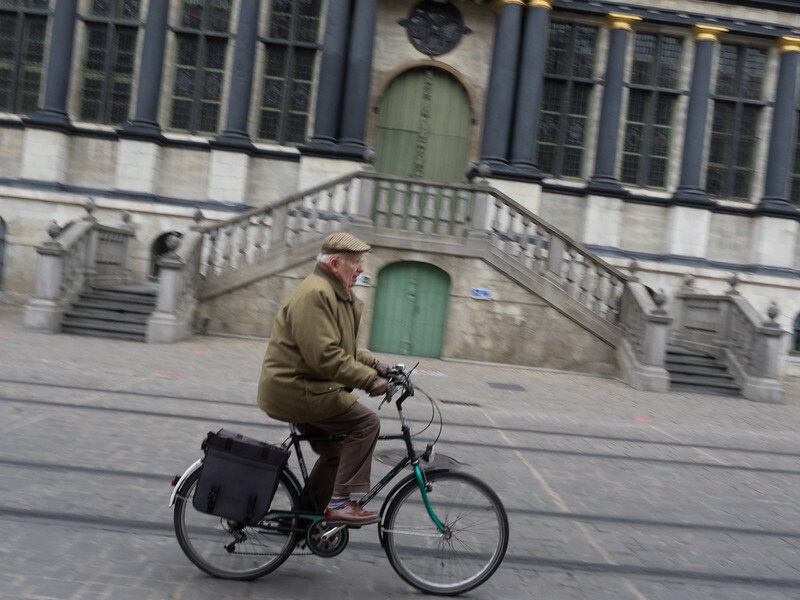 Everyone zips about on bicycles in Ghent. In fact it’s quite dangerous - you had to keep looking out for approaching bikes and trams. Yes, it’s Brussels! I stopped off on my way back from Ghent (quite sad to be leaving). 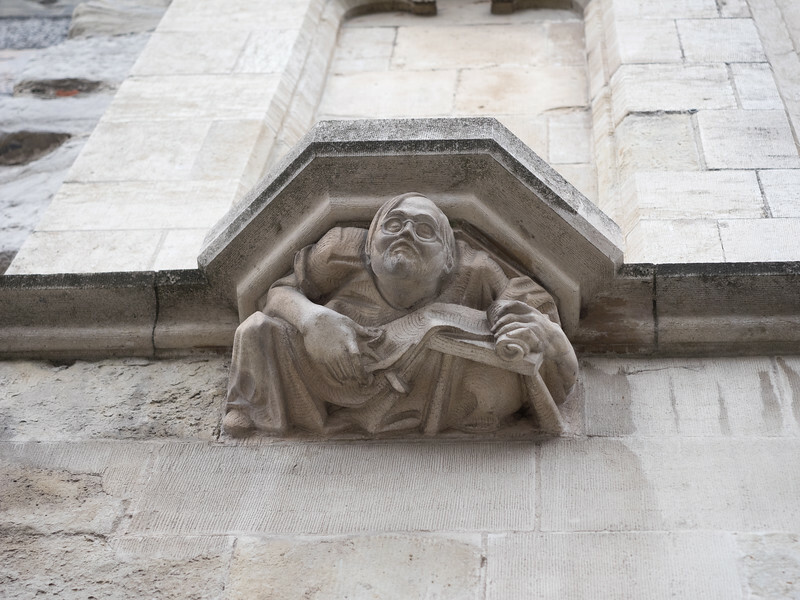 W B Yeats (or someone who looks like him) really seems to be enjoying whatever it is he’s doing here; a stone carving in the Grand Place in Brussels. 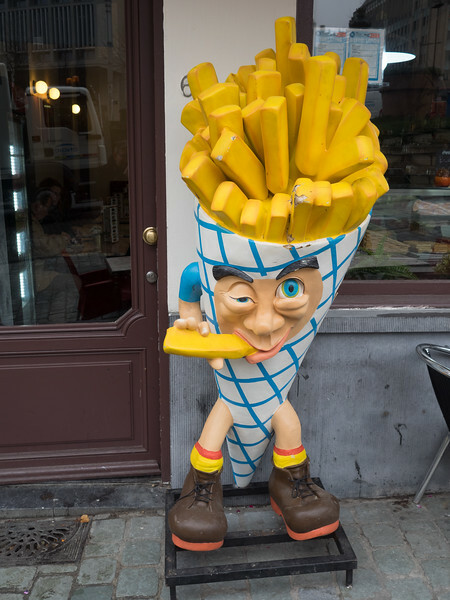 How I felt after one frite too many! Waffles, beer and frites do not make for a healthy diet! 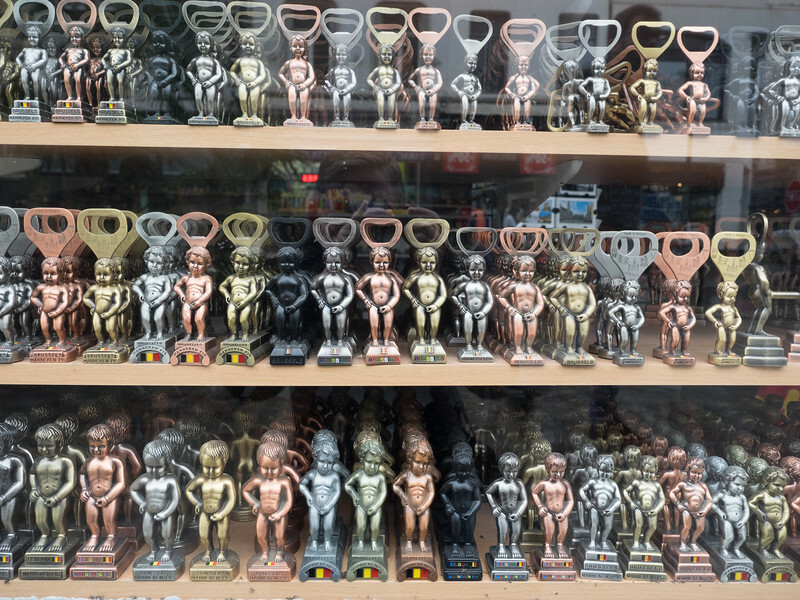 I absolutely loved my stay in Ghent. I thought it was such a brilliant city, beautiful architecture and with a really laidback atmosphere (nicer than Bruges, I thought). I hope to be back again some day soon.